Traditionally, Islamic music has been limited to the human voice and percussion (drum). But within these constraints, Muslim artists have been both modern and creative. 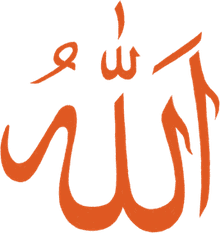 Relying on the beauty and harmony of their God-given voices, Muslims use music to remind people of Allah, His signs, and His teachings to mankind. In Arabic, these types of songs are known as nasheed.Historically, nasheed is sometimes reserved to describe music that consists only of vocals and accompanying percussion, but a more modern definition allows instrumental accompaniment, provided the song lyrics remain dedicated to Islamic themes. Muslims hold varying opinions about the acceptability and limits of music under Islamic guidance and law, and some recording artists are more broadly accepted than others by the Muslim majority. Those whose musical subject matters focus on standard Islamic themes, and those whose lifestyles are conservative and appropriate, are generally more widely accepted than those with more radical music and lifestyles. There are schools of Sunni and Shia Islam that believe that instrument accompaniment is not allowed, but most Muslims now accept a broader definition of acceptable Islamic music. The following list identifies seven of the best known modern Muslim nasheed artists of today. Formerly known as Cat Stevens, this British artist had an enormously successful pop music career before embracing Islam in 1977 and taking the name Yusuf Islam. He then took a hiatus from performing live in 1978 and focused on educational and philanthropic projects. In 1995, Yusuf returned to the recording studio to begin making a series of albums about the Prophet Muhammad and other Islamic themes. He has made three albums with Islamic themes. 2014 saw Yusef Islam inducted into the Rock 'n Roll Hall of Fame, and he remains active in philanthropy and as a recording and performance artist. Sami Yusuf is a British composer/singer/musician of Azerbaijani origin. Born into a musical family in Tehran, he was rasied in England frorm the age of three. Sami studied music at several institutions and plays several instruments. Sami Yusuf is one of the few popular Islamic nasheed artists who sings with extensive musical accompaniment and makes music videos aired throughout the Muslim world, causing some devout Muslims to shy away from his work. Named "Islam's Biggest Rock Star" in 2006 by Time Magazine, Sami Yusef, like most Islamic musicians, is deeply engaged in humanitarian efforts. This group of three African-American men has a unique rhythm, setting Islamic lyrics to rap and hip-hop music. Band members Joshua Salaam, Naeem Muhammad and Abdul-Malik Ahmad have been performing together since 2000 and are active in community work in their native Washington DC. Native Deen performs live to sold-out audiences throughout the world, but is especially well-known among American Muslim young people. Sometimes referred to as the "boy band" of the Islamic music scene, this singing group from Detroit has performed their popular harmonies live throughout the U.S., Europe, and the Middle East. They are known for comfortably blending modern aesthetics with traditional Islamic themes. Born David Howard Wharnsby, in 1993 he embraced Islam and changed his name. His work includes both solo and collaborative musical recordings, as well as spoken-word recordings, published articles and TV and video performances. This South African Muslim has been gifted with a beautiful tenor voice, which he has used to entertain and touch crowds of fans since 1994. He records both as a solo artist and in collaboration, and is often associated with both Yusef Islam and Dawud Wharnsby Ali. He is very much a traditional nasheed artist, with music and lyrics solidly in the Islamic tradition. This Malaysian group has won music industry awards in their native country. The band's name means "Fragrance of Heaven." The group now consists of four members, having tragically lost their fifth member due to heart problems. In traditional nasheed fashion, Raihan's ​music centers on vocals and percussion. They are among the most widely traveled of nasheed artists, regularly touring world-wide to great acclaim. What Do 'Submitters' or Quranists Believe? Is Insurance Against Islamic Belief?